Hmm.. 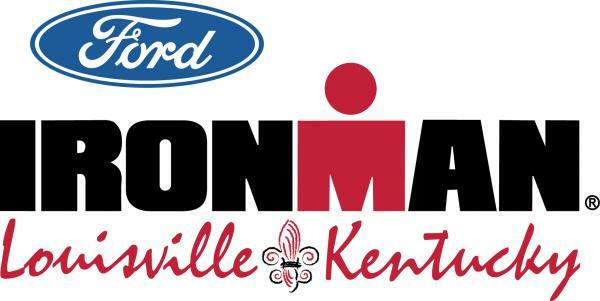 I, like several thousand other people, must be clogging the Ironman.com web site server trying to check on racers competing in Ironman Louisville today. Just watching the little loading symbol spin around.. and around.. and around. Uggh. I had a pretty boring work out today out at the Texas Motor Speedway. A 20-mile bike followed by a 5-mile run. I started a little later than normal, so the sun had plenty of time to warm up by the time I hit the run. I swear though, there could not be a breeze to be found in all of Texas, but you head to the Speedway and the wind is coming at you like you're racing in a wind tunnel. It's ridiculous. But, a brick workout is always a good thing, so bygones (Anyone remember that reference from Ally McBeal?") 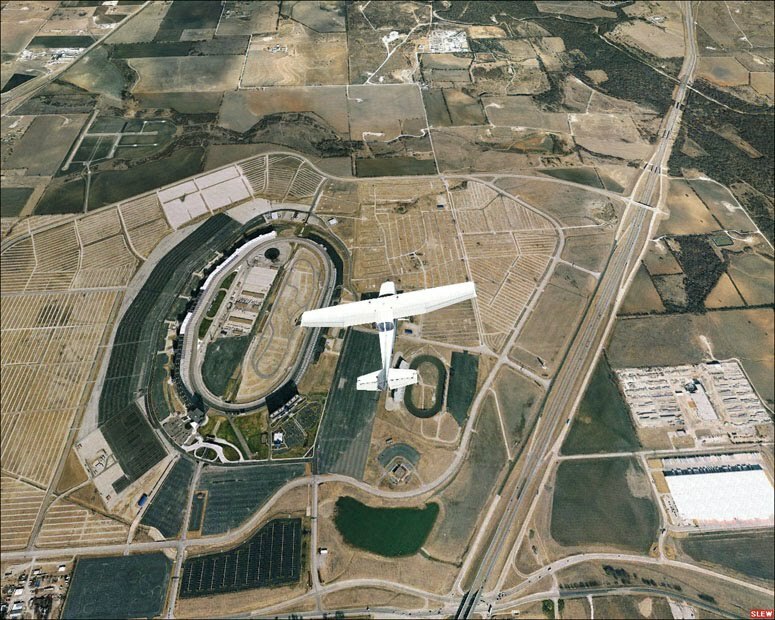 I found this aeriel photo of TMS that I thought was pretty cool. If you could see just a little further north, you might be able to see my house! The Speedway was pretty quiet today, as pretty much every biker in Texas returned on Saturday afternoon from the Cycling Mecca event, the "Hotter N' Hell 100." The ride attracts more than 14,000 riders. It's crazy and something I definitely want to do. Maybe next year. While the numbers are awesome, there are also a lot of bike wrecks. With USAT Nationals just 26 days away, I didn't want to chance being taken down by that rider who decided to borrow a neighbor's bike and having a "go" at the ride at the last minute. My neighbor, Chris went up and did the 100k ride, so I can't wait to hear how it went. Needless to say, I was a little jealous. So, I finally got through on the athlete tracker and the athlete I'm watching is still out on the run course. She's somewhere between 15 and 20 miles of the 26.2 miles. As I lay here, in my comfy bed, I can't even begin to understand what she's going through. She's been out on the course for a little over 13 hours now. Mentally, I just don't know if I can wrap my head around it. Even after completing a 70.3, just the pure amount of time physically exerting yourself is just amazing. It is so very inspirational to watch others accomplish their dream! Send some positive energy her way!! Go Meredith, Go! My iPhone 3g (yes, the old one) had bigger dreams than I was aware of. Apparently after going on run after run and tagging along with me on every bike ride, it decided that it wanted to become a full-fledged triathlete and have a go at swimming. 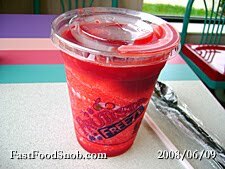 As I stopped to enter the freeway on-ramp, it made a nice easy slide right into my water cup. I retrieved it quick enough to watch the screen flicker, fuzz, do it's best impression of the Poltergeist screen and then go black. So, my iPhone triathlete is sitting in a bag of rice now. 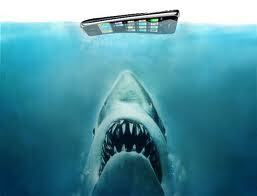 I've read many reports online that rice is apparently the miracle cure for water-drenched phones. If I can bring it back to life, I plan on letting my dad have it. If not, I'm sure he'll have fun taking it apart. I decided to forgo the iPhone 4 and get a 32mb 3gs. I sacrificed the coolness for more storage. That just means more space to download movies and rentals for the upcoming long bike trainer rides. If there is ever a site that I can gush over, it would be Athlinks.com. It's not the most user-friendly of sites (It has issues sometimes and can be a little confusing), but I use it for one purpose and that's to track my race results. 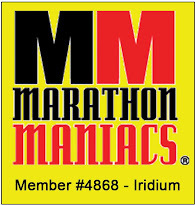 When I signed up, I was able to find results dating back to my first Marathon in 2000! So, I now have a consolidated place with my entire race history... and as Type A as I am, I love it. It gives you the race name, date, age, group and overall placing, your pacing and overall finish time in one handy dandy screen. And, if you click on the race name link, it will take you directly to the race results page. They have race listings, but Active.com really has that market cornered and I prefer to track my workouts on BeginnerTriathlete.com, but if you're looking to find results from some of your older races that you may have forgotten about, do a search for your name. If you have a common name.. well, life is going to be a little more difficult, but at least you live in relative anonynimity! With just a few days until the new ITU wetsuit and speedsuit rules go into effect (Sept. 1, 2010), I've received a couple e-mails with the new speedsuit debuts. 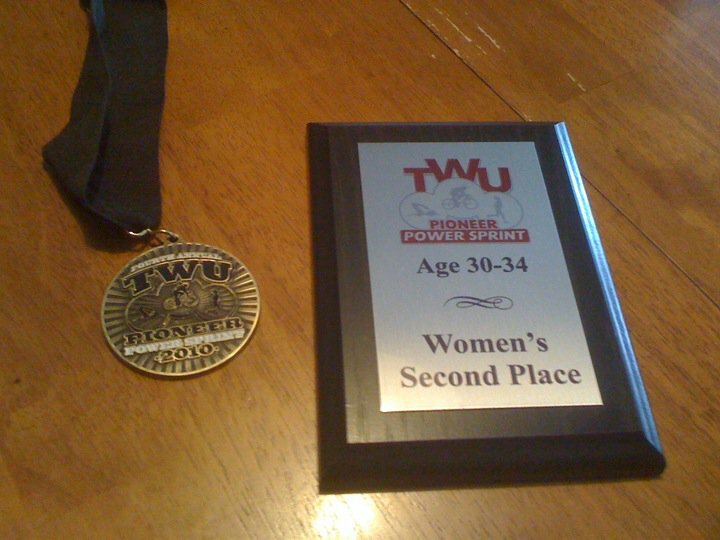 I'm still on the fence on whether or not I'm going to get one for Ironman Texas, but I have some time to make up my mind. I'll keep an eye out on the upcoming 70.3's and see what the trend seems to be. Not really a make it or break it necessity for me. "It abides to WTC's recent ruling on swimskins, speedskins, swim apparel...whatever WTC wants to call it." The DeSoto suit is an all-in one package, meaning you can wear it the entire race. Ummm... maybe for a sprint or an Olympic, but I can't imagine wearing it for an entire Ironman. BTW... this chick has awesome legs. I want those quads. Nice to see that they're using someone that obviously is an athlete. Props to you DeSoto. The TYR Torque Elite comes in standard seal black and a snazzy red color for both men and women. I'm going to go out on a limb here, but I have a feeling that they're going to be having a sale on the red ones for the dudes in about 6 months or so. Something about a solid, lighter color race suit for the guys typically leaves little to the imagination. "Swimwear and swim apparel must be comprised of 100 percent textile material, such as nylon or lycra, and may not include rubberized material such as polyurethane or neoprene. Swimwear may not cover the neck or extend past the shoulders or knees. Swimwear may contain a zipper. A race kit or trisuit may be worn underneath swimwear." I've been reading so many articles, blogs and looking through triathlon plans lately, I feel like I have a good handle on what to expect. Yet I've stopped short of finding something that I'm really in love with. Definitely no golden, sparkly plan with my name on it. 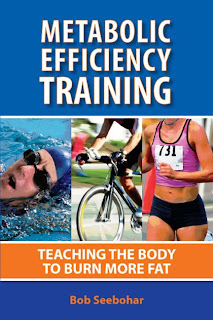 I used the Intermediate plan from TriNewbies.com for my Ironman 70.3 training earlier this year and I really liked it. Unfortunately, they don't offer a full Ironman plan. I think my favorite part about their plan were the swim workouts. They added a lot of interval training options, so I never really got bored and they really improved my overall swim times. I still use them now to add variety to my every day workouts. They also kept me honest on the bike trainer, as the majority of my training was through the winter. Most likely I'll be taking a hodge podge of one training plan and mixing it with another, focusing on total training time and recommended levels of perceived effort. I have never trained with a heart rate monitor, nor do I care to. Maybe I'm old school, but I don't feel the need to know if my heart is beating 5 beats faster while I'm running up a hill. I can figure that out on my own. So, I have immediately glazed over plans that focus their entire training on heart rates. 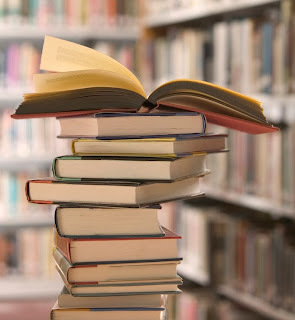 Found this blog post of Bob Seebohar's after I wrote my post on the book. I was shocked to see that someone could even ingest 6-7 gels on a bike, but anyway, just a good update regarding how the metabolic efficiency can be advantageous. 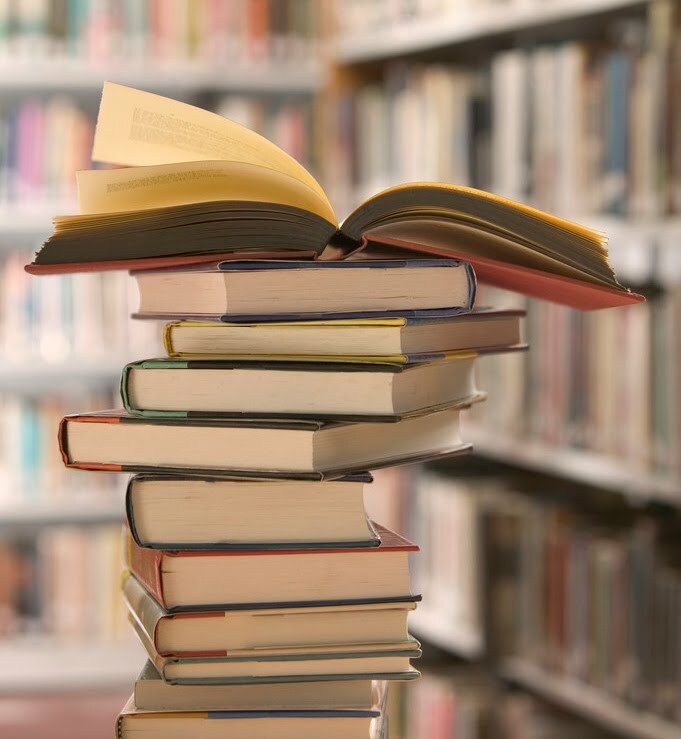 The book is about learning to use nutrition and training to improve the body's ability to burn fat, while reducing the likelihood of having GI distress. Sounds like a super-fantastic idea for me. 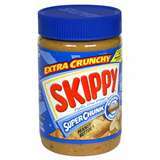 I'm lucky in the sense, that my body doesn't require a whole lot of intake to sustain long distances at a medium-intensity pace. For a marathon, I use maybe.. 2 Gu's? For a 70.3, I think I had two Gu's (one on the bike and one on the run) and a package of Clif Shot Blocks (Mainly because I love those things!!). 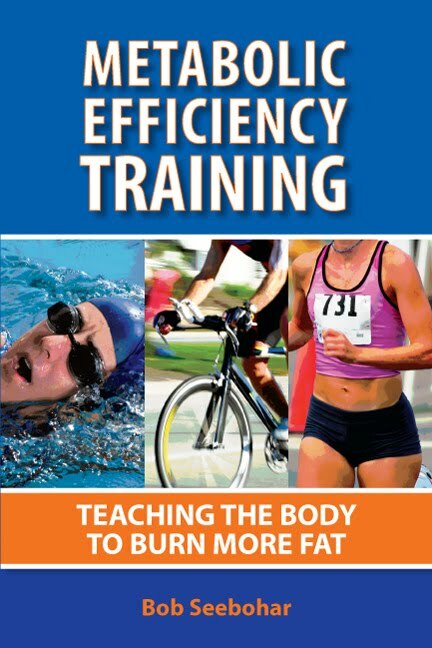 So, I'm hoping that I'm a little more efficient than the next gal, but, nonetheless, I'll be trying to learn the more technical side of training. Because, quite honestly, I'd like to use more of my jiggly fat for fuel and the book says that it will improve my health and performance. Seems like a trifecta of a win to me! 1) I gashed my right leg open with my razor.. twice- in different spots on two different days. It looked like the shower scene from Psycho in there both times! 2) I had a frustrating day in the pool which included trying unsuccessfully to modify my technique and pretty much forgetting that breathing while underwater is not a good option. I was at the point where I was questioning whether I even belonged in a pool. 3) I ran the shin on my left leg into the bike hitch of my car. I have a nice multi-hue green bruise to show for it. 4) I realized that I forgot my bike shoes on Sunday morning after I made it to the Texas Motor Speedway to ride. Spent an extra half an hour driving back to get them. So, I guess the Tri gods are not happy with me and while the injuries were superficial at best, my personal frustration with everything (plus work issues) affected my training quite a bit. 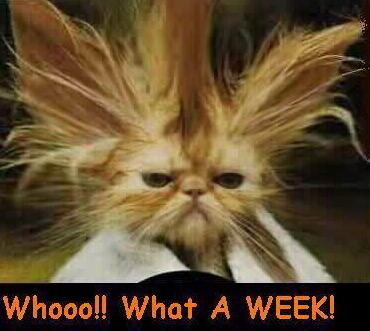 Shaking it off... Namaste. The following is a video that I had the pleasure of assisting in putting together for the upcoming Wise Tri Triathlon that will be held at Lake Bridgeport on September 12, 2010. The event started in 2009 and is a charity event whose proceeds go directly towards research for treatment or a cure for Galactosemia. 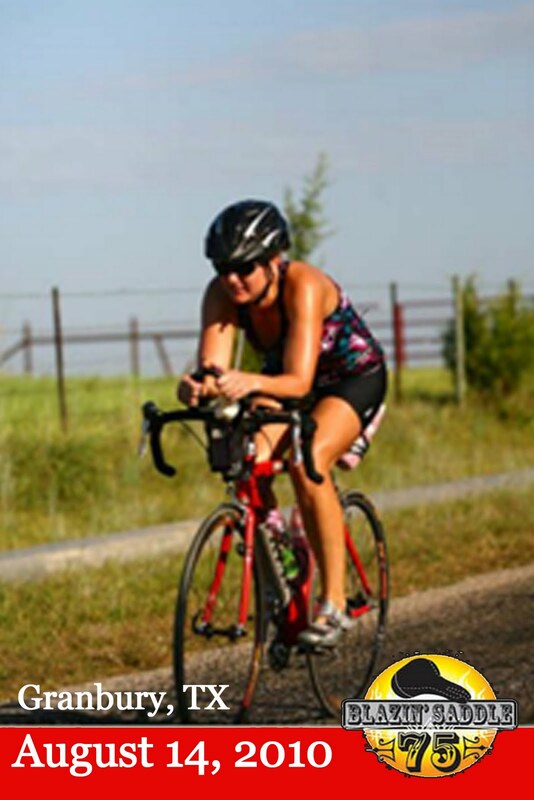 The Wise Tri offers both Sprint and Olympic distances and is a USAT Sanctioned Race and run by USAT-certified Race Director, Mike Bowers. 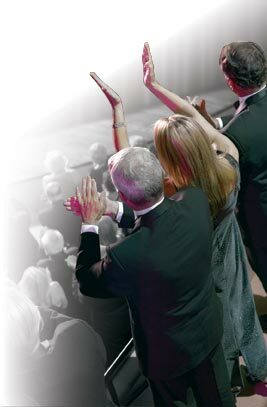 For more information or to sign up, go to: http://www.WiseTri.com. Who needed a protein shake, anyway? - I am not a Taxi. Please don't try to hitch a ride on me to your friend's house down the street. - I am not a target practice. I do not appreciate you using your Taekwondo or fighter pilot skills on me. - I am not a moving swimming pool. Just because I'm sweating profusely from the humidity does not mean I enjoy you taking up residence on my body because it's cooler for you. - I drink protein shakes and eat lots of chicken already. I do not need to ingest additional bugs to get my protein levels up for the day. - I am not up for a conversation. Please do not buzz by my ears at lightspeed. I will not respond.. well, I will, but not kindly. 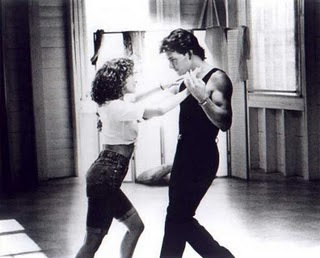 To follow the advice of the highly respected and late Patrick Swayze, "This is my dance space. This is your dance space. I don't go into yours, you don't go into mine." Here's a pic from this weekend's "Blazin' Saddle" bike rally down in Granbury. I did this as part of my continued effort to "Like the Bike." Things are looking up, I must say. I don't want to jinx anything, but I haven't crashed since I pledged to have a more meaningful relationship with Terry. Perhaps we've come to a mutual understanding- I'll ride more and Terry stays vertical. I can live with that. The drive to the ride was nearly an hour and 20 minutes away.. uggh. I was up at 5:30am and followed my neighbor and his family down there. My neighbor, Chris, is from England and truly enjoys biking. He's getting back into it after some absence and has been going to a rally pretty much every weekend. So, I tag along when I can. Now, if I can only talk him into swimming and running. (I'm always trying to convert people over to the Tri side!) Anyway, the weather was sizzlin' (100+) and the course was very hilly- both good for training for the Age Group National Championships coming up in Sept. Somehow I missed the start of the event by about 15 minutes. Chris didn't. He waited for me at the start and then again at the first aid station, but I was nowhere to be found. He probably thought that I changed my mind and left with his wife and daughter for coffee and pedicures instead. Not a bad idea, but not the case. There was a group of us that had parked a little ways out and couldn't hear the loud speaker. I thought we had plenty of time. Guess not. I spent the rest of the ride playing catch up, so I didn't annoy the cops who were waiting for the slow stragglers to get across. Sorry, guys. Overall the ride was great and I can't help but giggle at the logo. Really..? Bwhahahaha. I am going to give Jeff over at Dangle the Carrot a standing ovation for his post today. It's an animation clip that pretty much sums up every conversation I have ever had with anyone about what an Ironman is or why I would ever want to attempt one! Enough abbreviations for you? 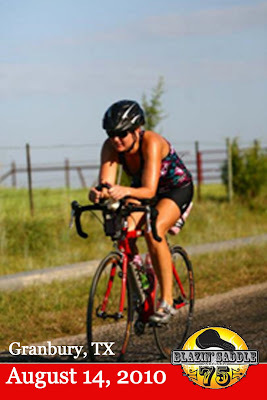 I had the pleasure of organizing a Beginner Triathlete Dallas/Ft. Worth Ironman Texas Get Together on Sunday. What an awesome group of people! (I'm unfortunately the one slouching in this photo.. uggh!) We ate at Uncle Julio's in Grapevine - I don't think you can ever go wrong eating there. Their salsa and flour tortillas are to die for. I tried not to make a pig out of myself in front of everyone, but seriously I could probably down a dozen of their tortillas in a sitting and not think twice about it. Triathletes seriously have to be the nicest people around. We traded race stories, training mishaps, travel adventures and the like. It's fun to be around a group of people who have the same "sickness".. and I mean that with the greatest of sincerity! Grady shared a story of not going to a high school reunion, because what he could save on travel costs would equate to some new wheels. Umm.. obvious choice, right? Ha! My favorite part had to be the Ironman tattoo parade. I wanted to check out the fabulous ink on these guys who have conquered the 140.6. From a girl's perspective, Marcy says she's going for the diamond M-Dot pendant instead of ink. I'm on the fence. I think a small-ish M-dot tat with the Texas flag incorporated would be pretty cool. I've never really had the desire to get a tattoo- nothing really struck as something so monumental in my life (not to downplay childbirth) that I needed to have a permanent reminder on my body to celebrate it. But, this just might be the occasion. More on this later I guess... still have months to waffle back and forth. Anyway, while many of the people who attended have met before, it was great to be welcomed as a newbie and I look forward to getting to know everyone better and even happier to know that I'll have some friendly faces to see on the Ironman Texas course on May 21, 2011! The race went well. I stayed vertical on the bike... progress! My transition times were fast compared to previous races, which is actually what I was focusing on .. that and sustaining race paces. The run was hilly and the heat was definitely turning up, but overall a good race for me. I placed 2nd out of 15 in my Age Group and I. was very happy about that. Although, the only quote that ran through my head was, "If you're not first.. your last" ... ha! Shake & Bake! When it comes to triathlon, I love just about everything about it. Except that part that comes between the swimming and the running. The bike and me just don't get along. Maybe it stems back from those first few triathlons when all I seemed to hear was "On Your Left." I considered pinning a sign on my jersey that said, "Yeah, I know... You're on My Left... Shocking." It's not that I don't like my bike. My co-workers call him, Terry. Aptly name because that's the brand name of the saddle. I love that saddle. It has "Tri Like a Girl" imprinted on it and that motivates me. And, the all carbon-fiber Trek E-bay find was a big step up from the WalMart special I started on. So, it's not the bike. It's the act of biking. It bores me beyond belief. 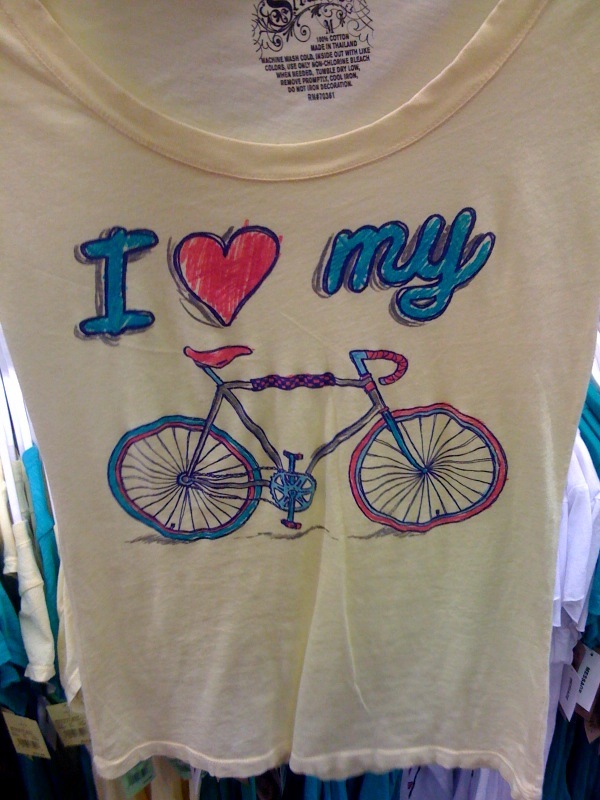 <--- I even found this shirt at Target! Will this turn into a love affair? Probably not. But, I might consider doing some more bike rallies with my neighbor. The idea of not racing was so foreign to me. During the rally, they had like 5 rest stops and all of them had cookies!! I thought it was the best thing ever. Ok, maybe not as good as free pancakes after a tri, but a close second. For Ironman Texas, I'll have 112 miles to ride on the bike. That's a long time to spend on something you don't enjoy. So, here I go. I'm going to try to figure out what Lance sees in this sport. Go Terry! I pulled out my HomeSwimmer last night, for the first time in awhile and realized just how much I missed using it! The resistance of the spring really added a lot to the short workout and I could feel my shoulders really working. Plus, it was such a treat to swim outdoors and in a 2-piece suit. (Both of which I can't do at work.) I used it before I went on my 4-mile run, but I think I'm going to start switching that up! A post-run swim sounds much more refreshing. Back to the HomeSwimmer story, though. When I first started training for triathlons last year, I didn't know how to swim freestyle. I've always felt comfortable in the water and love snorkeling, but typically my pool experiences were relegated to floating on a lounger with a margarita in hand. In high school, I was a diver. The extent of my swimming was from my splash in the pool to the ladder. I don't think I even attempted to swim a length of a pool. Last April I didn't have a membership to the gym at work yet, so I was trying to figure out how I was going to go from lounger to Phelps-fish style-swimming in a couple of months. 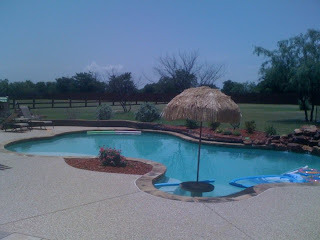 We have a great pool in our backyard, but the length from end-to-end didn't allow for much practice. Maybe three to four strokes and you were at the other end. So, after a little internet research, I found the Home Swimmer. For $89, I ended up with my own lap pool at home. I love this thing. So much that I even sent a review to their company and they published it on their web site. It's an ingenious, portable little contraption, that I would highly recommend. (And no, they're not paying me to do it either.) It's just one of those finds that I like to tell people about that might not know it exists! I ended up getting a gym membership at our hospital, which gave me access to an indoor 25-yard lap pool. I asked a lot of questions of the swimmers there and ended up with a great swim coach, when I hired our web manager- (he's a high school swim champ..) and watched a lot of YouTube videos. I went from barely being able to swim one lap to being able to finish over 1.2 miles without being exhausted. But, I have to give some credit to the HomeSwimmer, because it really allows you to focus on your stroke, kick and breathing properly and I know that using it made me a stronger swimmer. I was thinking that I might just have to start using it in the winter to get used to swimming the longer distance (2.4 miles to be exact) in my wetsuit. Whether or not I'll be able to talk myself into getting into the cold water - when I really don't have to - that's a different story. Brrr.. I'll continue to enjoy my warm pool for the time being. Still have a lot of paperwork to get done, but the progress for the Fit-N-Wise Triathlon team is moving along. It's exciting that most people I talk to about the team can't wait to join! Grey will be the standard color for the membership t-shirts and then we added the blue and pink options for additional purchase. The one color logo is a little boring, but I wanted to keep costs down. 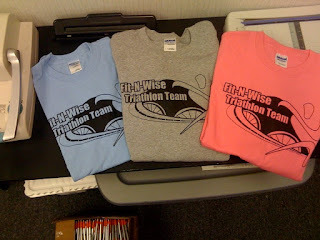 The Fit-N-Wise Tri Team t-shirts are in! Yay! After setting the world record for an Ironman race, Chrissie Wellington had this to say on her blog. And, to me, it is one of the most inspiring things I've ever read. Thank you Chrissie for being a great role model to women of all ages and for the sport of triathlon! "...as with any ground breaking performance the inevitable questions arise. They are never directed to me. More whispered in the background, or implied in conversations with those who know me. They ask how it is possible to do what I did without the use of performance enhancing drugs. I don’t believe that silence is golden – and my brief response is this. I got into this sport almost by accident. Not for money, for glory or even for world records. Simply to see how good I could be. I had a talent that not even I knew I had. It took a few special people to help me realise that talent and hone me into the athlete I am today. But I devote my life to this sport. Putting my heart and soul into fulfilling my potential – mentally and physically. It requires sacrifice, hard work, determination and an ability to look beyond the physical boundaries that others set for you. I look in the mirror and I know that I am clean. I have never, nor will ever, take performance enhancing drugs. I don’t need to. What you all saw last weekend is the real me, putting my heart and soul on the line to test my limits and show that the bar can be raised. This is a wonderful time for women in sport. Please, let us celebrate that." I had a great talk with my friend, Peyton, tonight. (Sorry, Peyton... hope you don't mind). But, I can't tell you how much I love talking with people who are just catching the triathlon bug ("Newbies"). Mainly the ones who are considering it, but are scared to death. Why? Because that's exactly where I was a year ago. Ok. 385 days ago. I competed in my first sprint triathlon on July 11, 2009. I was scared to death. Other than knowing that I was going to swim, bike and run... I had no idea what to expect. I had read a ton of articles online, but still wasn't sure how things were going to end up when or if I crossed the finish line. Well, I finished and while I was exhausted, I immediately started thinking about what I could have done better and if I had only pushed it a little harder on the bike, I could have finished "this" much faster. Yep. I was hooked. And the season this year is just getting started! :) Entering races and events keeps me motivated. 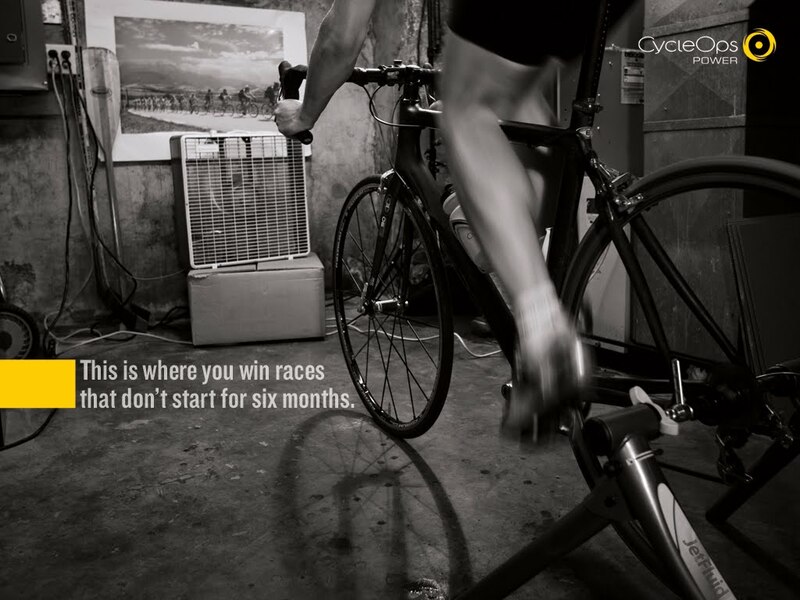 If anything it keeps me accountable for my training. I keep track of my training meticulously, thanks to BeginnerTriathlete.com. It's a great site and using the forums and the training logs are free! Here's a quick peek at how the site keeps track of everything. It must seem like I'm working out 24/7, but that's really not the case. Because, being a mommy is my number one priority and I work full-time. For the majority of the time, I do 2-a-day workouts. I'm very lucky to have a pool at the hospital that I work at, so I'm able to do my lap swimming there. I also work with two very awesome people that just happen to like to do triathlons or some part of triathlon workouts. Most days, when I'm not attending a Chamber meeting or other work-related functions, I work out during lunch. Then after work, I come home and spend the evening with my family until my daughter goes to bed and then I start my second workout of the day. That's usually either a P90x session, a 4-6 mile run around the neighborhood or some quality time with my bike trainer. The last of which is my least favorite. Weekends usually include one early morning long run or a bike/ run combo, so I'm back right after breakfast or an early morning race. It leaves me with the majority of the weekend to spend with my very busy little one, which I should actually be tracking as exercise, because we can play "Following the Leader" for at least an hour.